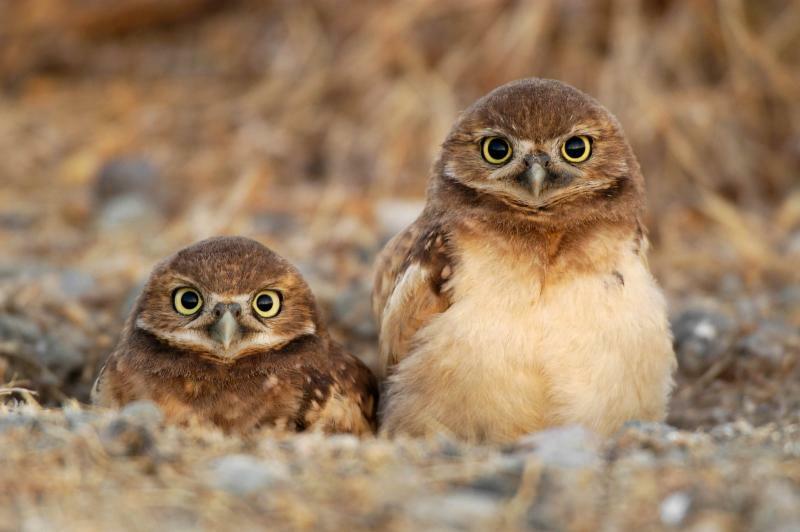 This April, the San Francisco Bay Bird Observatory (SFBBO) is looking for volunteers to assist with western burrowing owl breeding surveys at the Don Edwards San Francisco Bay National Wildlife Refuge in south Fremont. The surveys will take place on the Warm Springs Unit of the refuge, a 700-acre vernal pool grassland home to special-status species like burrowing owls as well as California tiger salamanders, vernal pool tadpole shrimp, and Contra Costa goldfields. Session 1: Wednesday, April 15th – 5:00 p.m. to 7:45 p.m. Session 1: Thursday, April 16th – 5:00 p.m. to 7:45 p.m. Session 1: Wednesday, April 18 – 6:30 p.m. to 9:00 p.m.
Training will be provided on site beforehand to familiarize volunteers with survey techniques. Volunteers are cautioned to wear layered clothing; sturdy shoes/boots; and plenty of water. To volunteer, send an email to SFBBO Habitats Ecologist Aidona Kakouros at akakouros@sfbbo.org with the subject line “BUOW surveys in Warm Springs”. The application deadline is Friday, April 10. This entry was posted on March 30, 2015, 9:08 pm and is filed under Endangered Species, Natural History, News and Research, Ornithology. You can follow any responses to this entry through RSS 2.0. You can leave a response, or trackback from your own site.